Posted in: Event News, Products News. Tagged: goodie bag, halloween, Kettle corn, Popcorn, Snack, treats. Get your orders in early for some “spooky” kettle corn treats! 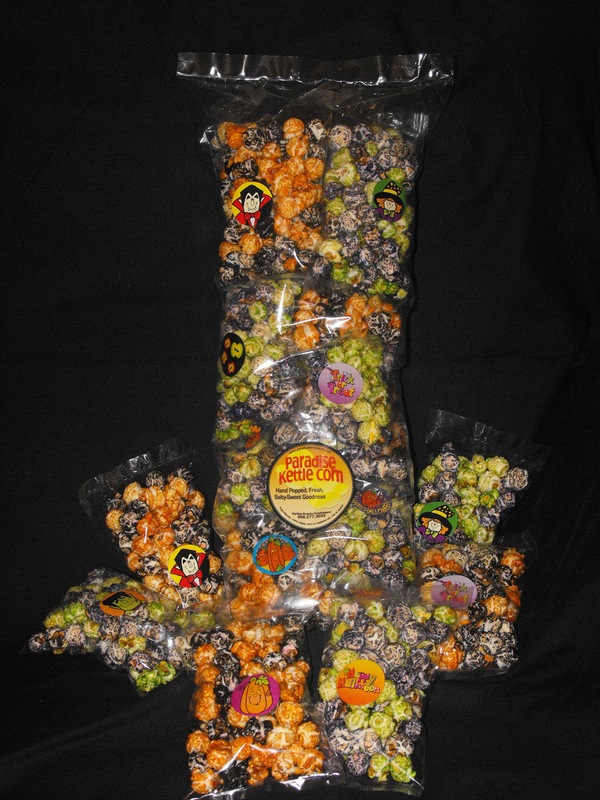 Each 5″x8″ mini bag, is filled with orange & black or green & purple colored kettle corn – perfect colors for your halloween treats. These treats will be sold by the dozen for $10.00. We will feature them at the Season’s Best Craft Fair at the Blaisdell the weekend before Halloween. These will make a great addition to halloween goodie bags or special treats for classmates and friends.